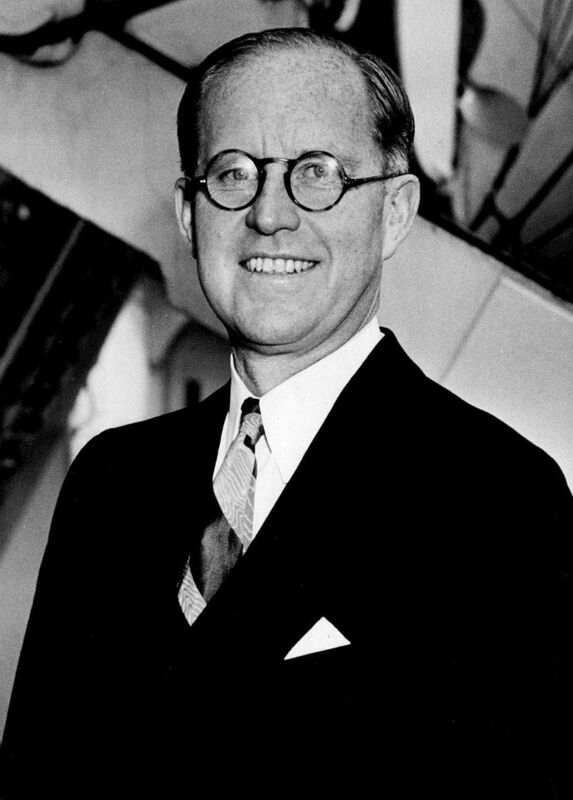 The grandson of Irish immigrants, Kennedy was a Massachusetts businessman, whose enterprises included banking, ship building, motion picture production, investing, and probably Prohibition-era bootlegging. A major contributor to the Democratic Party, he secured high-level appointments in the administration of Franklin D. Roosevelt, including the ambassadorship to Britain. In this capacity, he advocated the appeasement of Adolf Hitler, whom he considered unbeatable, and encouraged FDR to steer the United States on an isolationist course. This stance ultimately ruined Kennedy’s political and diplomatic career. Kennedy’s ambition was then directed toward his sons, Joseph P., Jr., John F., Robert F., and Edward M. (He also had five daughters: Rosemary, Kathleen, Eunice, Patricia, and Jean). When Joseph Jr. was killed in World War II, Joseph Sr. groomed JFK for greatness, exercising all of his personal, political, and financial influence to do so.